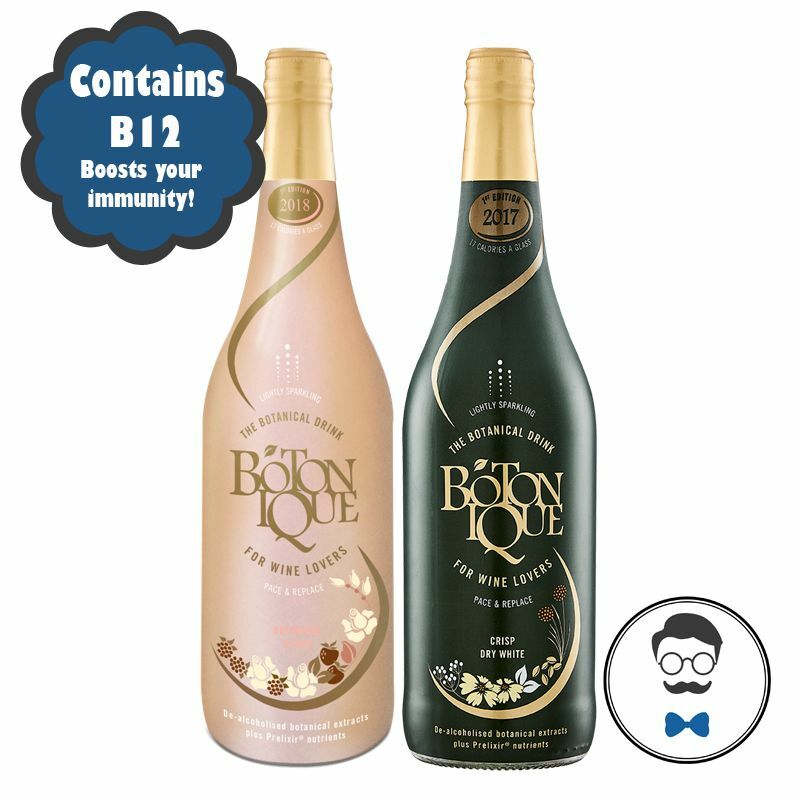 Get both Botonique varieties in this fantastic duo pack containing both the original and blush in 750ml bottles. Botonique doesn’t taste like wine – no grapes or alcohol - though people say it reminds them of wine. They also say it reminds them in varying degrees of gin, vermouth, Pimms, tonic, ginger ale and various other things. The blush has a welcoming bouquet of strawberry, rose and bramble is matched on the front palette, then followed by a complex array of notes from spices and herbs, and a refreshingly dry, lingering finish. Each serving is packed with vitamins and is beneficial for your immune system and is sulphate free!